In a stage career that spanned six decades, Benjamin Whitrow was a supporting actor of consummate elegance who proved time and again Laurence Olivier’s assertion that he “had never given a bad performance”. Olivier had brought him to the National Theatre, then based at the Old Vic Theatre, in 1968 where he showed himself to be equally adept in Restoration comedies, Shakespeare and contemporary plays. Television would eventually push him towards star status as Mr Bennet in the BBC’s 1995 adaptation of Pride and Prejudice, in which he stole virtually every scene he appeared in and earned a BAFTA nomination. The son of a teacher, he trained at RADA before making his professional debut in Peter Ludwig Brent’s Chance of Heaven at the Irving Theatre in 1955, and served his apprenticeship in regional reps in Belfast, Liverpool, Worthing and Bristol. He spent much of 1962 in the West End, alongside Ralph Richardson in John Gielgud’s production of Richard Brinsley Sheridan’s The School for Scandal at the Haymarket Theatre and in Douglas B Foy’s absurdist comedy The Shapes at the Comedy Theatre. During his first spell at the National, notable performances included the Duke of Venice to Olivier’s Shylock in The Merchant of Venice (1970), Jean Giraudoux’s Amphitryon 38 (1971) and Bensinger in Ben Hecht and Charles MacArthur’s The Front Page (1972). He was seen as Albany to Michael Hordern’s King Lear on television in 1975 and, the same year, as a delightfully woolly Canon Chasuble in Oscar Wilde’s The Importance of Being Earnest at the Greenwich Theatre, hailed by The Stage’s then editor Peter Hepple as “the best” he had seen. Ted Tally’s Terra Nova gave Whitrow his Chichester debut in 1980, followed by a string of West End runs including Peter Nichols’ Passion Play (Aldwych Theatre, 1981), Michael Frayn’s Noises Off (Savoy Theatre, 1982) and as the gloomy ex-husband of Felicity Kendal in Anthony Minghella’s Made in Bangkok (Aldwych, 1986). He ended the decade as Thomas Cromwell alongside Charlton Heston’s Thomas More in Robert Bolt’s A Man for All Seasons (again at the Savoy in 1987, and also filmed for TV) and as the dry, self-pitying Serebryakov in Frayn’s adaptation of Chekhov’s Uncle Vanya (Vaudeville Theatre, 1988). In 1992, he joined the Royal Shakespeare Company to play Falstaff in The Merry Wives of Windsor – a role he later told The Stage “put the kibosh on my RSC career; I was horribly miscast” – but returned to play Sir Anthony Absolute in Sheridan’s The Rivals (2000) and Justice Shallow in Henry IV, Part II (2001). 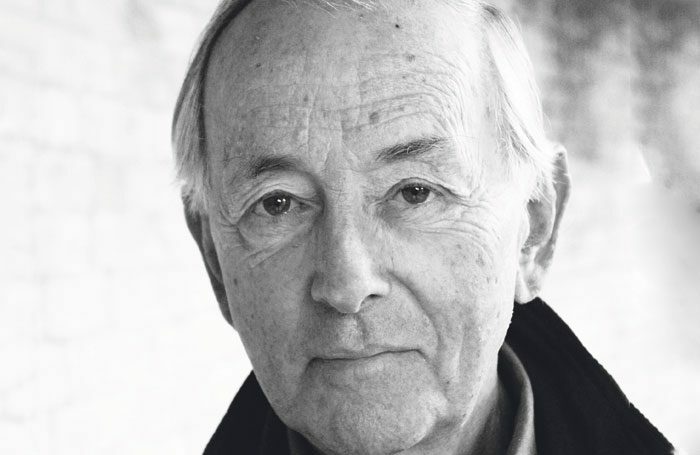 Later appearances at the National included John O’Keeffe’s Wild Oats (1996) and Tom Stoppard’s The Invention of Love (1997), and, at Chichester in 2006, Richard Everett’s Entertaining Angels, in which he played a parish vicar returned from the dead. At the Tobacco Factory Theatre, he directed Robert Bolt’s Flowering Cherry in 2015 and took his leave of the stage at the venue the same year as Crabtree in The School for Scandal. Notable TV appearances included Harry’s Game (1982), Simon Brett’s After Henry (1988-92, having also been in the original radio version), The New Statesman (1991), The History of Tom Jones (1997) and Wolf Hall (2015). Benjamin John Whitrow was born on February 17, 1937, and died on September 28. He is survived by his ex-wife, their two children and a son, the actor Angus Imrie, fathered with Celia Imrie.